The Draft Biodiversity Conservation Legislation has been released this week. Do you know what it’s about? On 3 May the NSW Government released the draft Biodiversity Conservation Bill and draft Local Land Services (Amendment) Bill for public exhibition. This new draft legislation will replace the Native Vegetation Act (2003) (NVA), Threatened Species Conservation Act (1995) (TSC Act), Nature Conservation Trust Act (2001) (NCT Act) and parts of the National Parks and Wildlife Act 1974 (NPWS Act). Who is it going to impact? All of us, in one form or another, whether we are in urban, rural or coastal areas. The new legislation may also mean a change in role for Councils as consent authorities and changes to the regulation of some agricultural activities by the Local Land Services department. Central West Lachlan Landcare are assisting the Central West Natural Resource Management Group to run the Central West Biodiversity Legislation Workshop presented by Landcare NSW. This workshop is aimed at bringing stakeholder representatives together to present an overview of how their organisation sees the new legislation impacting (positive or negative) our communities. The workshop will be held on Tuesday, 31 May at the Parkes Services Club. I will have more information in next week’s column. If you would like to put forward your expression of interest in attending, just give me a call on 6862 4914 and I will keep you in the loop. There will now be an eight week consultation period with open sessions being run by the NSW Government. Our closest information day will be at Dubbo on 16 May. Click here for more information. 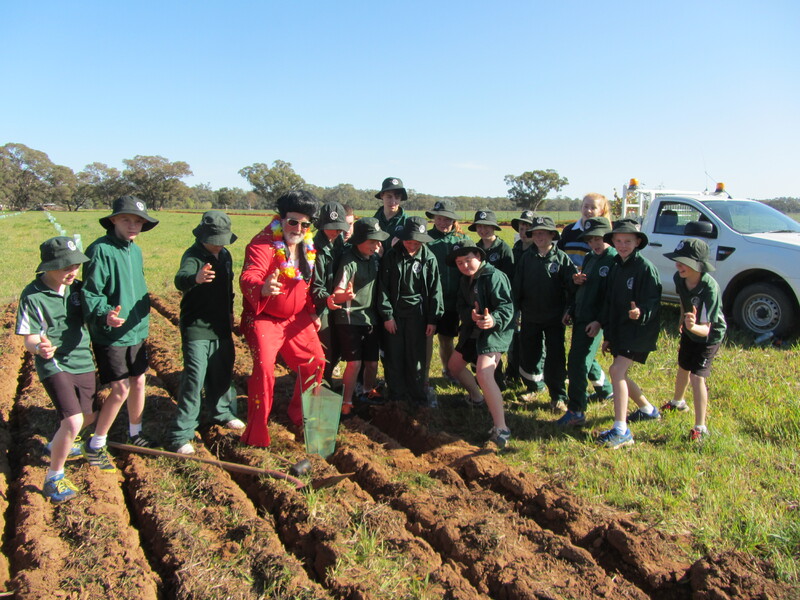 The next Parkes Motley Crew is happening on Saturday, 21 May from 9.00am at PAC Park. We will have a chance to look at the work previously completed and work on another section of the bank. We will finish up with a delicious morning tea at 11.00am. Everyone is welcome! You can access the site via East Street (across from the Parkes High Ag Plot). If you could email cwllpo@hotmail.com or ring to let me know that you will be attending I will make sure we have enough morning tea to go around. Look out Forbes! A Motley Crew is coming your way. 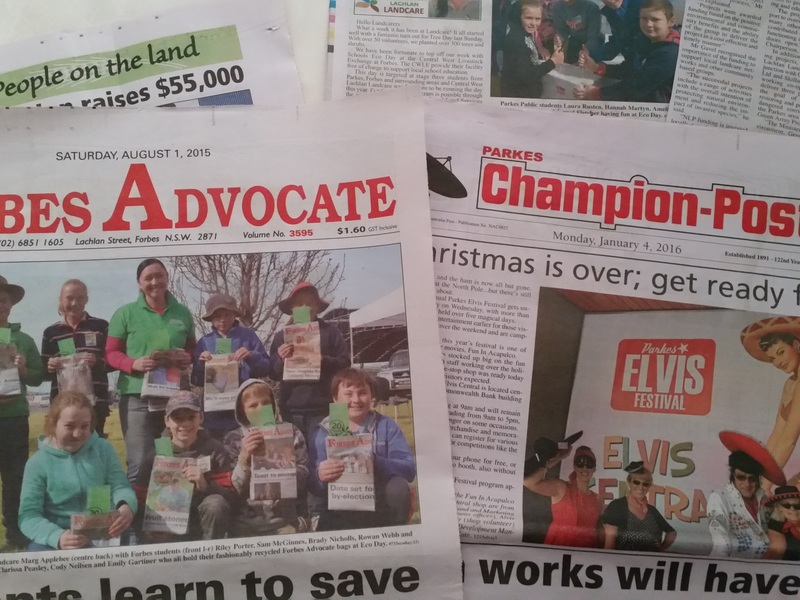 We are looking forward to doing some amazing work in Forbes in the months ahead. I will have more information about the Forbes Motley Crew soon. If you are interested in being involved, please feel free to contact me.